Washington state's insurance bad faith laws acknowledge a very important issue with regards to insurance companies and how they do business: If the only repercussion resulting from an insurance company’s failure to conduct business in good faith is to be forced to pay out a fair and reasonable settlement, those companies would become instantly motivated to deny every single claim, forcing claimants to endure the litigation process for even minor claims. Insurance bad faith laws are designed to serve as a strong deterrent for insurance companies to prevent them from acting in bad faith during the claims process. Knowing that there are penalties to be paid – for example, claimants can sue their insurers for bad faith, which can significantly increase the amount of damages the insurer will have to pay the claimant – for acting in bad faith has created a system in which insurers can be held accountable and suffer financial consequences for acting in bad faith. 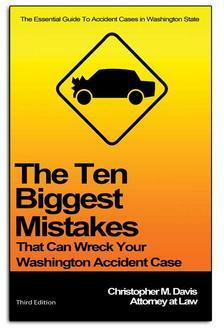 "Any first party claimant to a policy of insurance who is unreasonably denied a claim for coverage or payment of benefits by an insurer may bring an action in the superior court of this state to recover the actual damages sustained, together with the costs of the action, including reasonable attorneys' fees and litigation costs..."
Washington state law dictates that insurers have an explicit duty to apply an equal level of consideration to their policyholders’ interests and their own interests. Simply put, insurers are legally bound to act in good faith by cooperating with claimants and making fair efforts to resolve claims that serve the best interests of both sides. 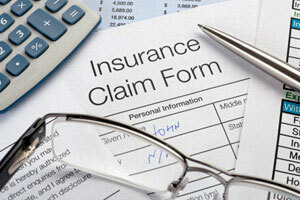 Insurance companies are required to give prompt attention to all claims, evaluate claims by their own merits, and make payment in a reasonably prompt manner. An example of valid grounds for a bad faith claim might be a situation where it could be proven that insurance adjusters were trained to reject all claims without actually considering the unique facts and circumstances of the claim. Of course, these are relatively vague legal guidelines and insurance companies still remain notorious for bending the rules and putting their own interests above those of their claimants. But insurance bad faith laws allow injured victims an avenue of legal recourse in the event that insurance companies fail to uphold their duty to policyholders and claimants. The burden of proof for proving that an insurance company has acted in bad faith is significant, and juries are tasked with deciding the level of punishment and compensation that can be levied against an insurance company. For these reasons, pursuing an insurance bad faith without the assistance of an attorney can be very complex and difficult. If you believe you have a valid personal injury claim but the insurance company is denying your claim and failing to cooperate with you, it would likely be in your best interests to consult with an experienced personal injury attorney to learn about your legal rights. Davis Law Group has handled a number of personal injury cases which later involved the pursuit of an insurance bad faith claim against the insurance company. Because we handle our clients’ personal injury cases from start to finish, we are constantly evaluating whether the insurers are acting in good faith and fulfilling their duties to our clients. Perhaps the most significant insurance bad faith case we handled involved a woman who was involved in a serious motor vehicle accident in 2009. Our client carried a $500,000 Uninsured/Underinsured Motorist (UM/UIM) policy to cover herself in the event of a serious accident, yet her initial claims to the insurance company were denied. The award-winning legal team at Davis Law Group negotiated with the insurance company for more than two years, but the insurance company failed to even make a reasonable settlement offer. In fact, the final offer we received from the insurance company was less than the cost of our client’s medical bills. We took the case to arbitration, where an independent arbiter determined that our client was owed $500,000, and the insurer was forced to pay the full policy limits. Our attorneys then decided to pursue a bad faith claim against the insurance company alleging that the insurer failed to act in good faith with our client. We went back and forth with the insurer for nearly two more years, and eventually the insurance company agreed to settle the bad faith claim for another $500,000. In total, our client received a settlement of more than $1 million. If you have been injured in an accident and are getting nowhere with the insurance company, it may be in your best interests to consult with an experienced attorney to learn more about your legal rights and options. The attorneys at Davis Law Group will review your personal injury claim and help you determine if you may have grounds for an insurance bad faith claim, and if hiring an attorney might increase the chances of a favorable outcome. Call our office in Seattle at (206) 727-4000 or use the confidential contact form on this page to have your case personally reviewed by our award-winning legal team. If we believe we can help, our attorneys will meet with you in-person at your convenience for a free legal consultation to discuss your case in more detail.